Today, 10th Planet Jiu Jitsu Van Nuys’ very own Pro MMA Fighter, Thor “TNT” Skancke came down to the gym to teach a Wrestling for MMA/BJJ Competition Seminar. He showed us some basic A,B, and C techniques to secure a takedown in an MMA or BJJ Competition setting. Basically, he took out any wrestling pins, transitions that may leave you vulnerable to a submission or strike. It was an awesome seminar and I was super happy to take part. He showed some great details and ways to secure a takedown or defend one from the over/under, double underhooks, or just a unique way to attack the single leg. I really digged this seminar and hope he does another one soon so I can pick his brain more! Thanks again Thor! 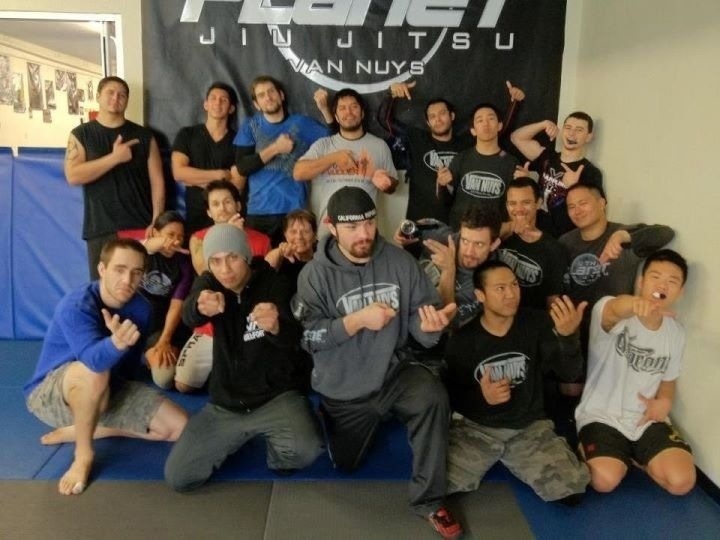 This entry was posted in 10th Planet Jiu Jitsu, Jiu Jitsu World, MMA, My Personal Training Blog and tagged 10th planet jiu jitsu van nuys, seminar, Thor, wrestling, wrestling seminar on January 15, 2012 by gcalvento10pvnjj.